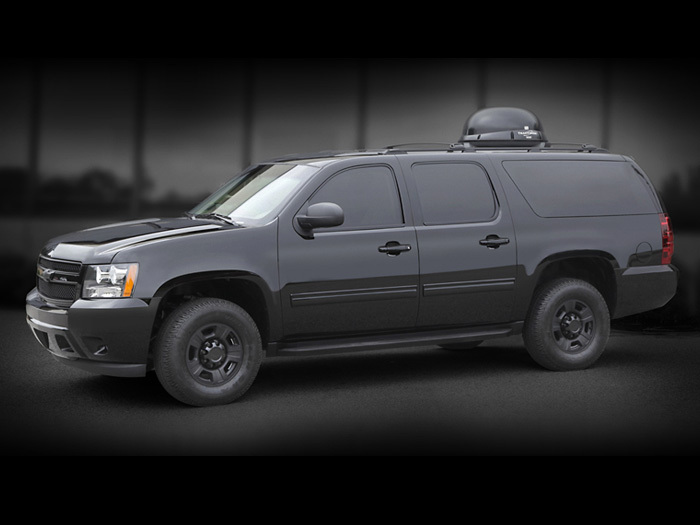 The Armored Mobile Office is a Suburban based mobile office available with up to B5 level of protection. 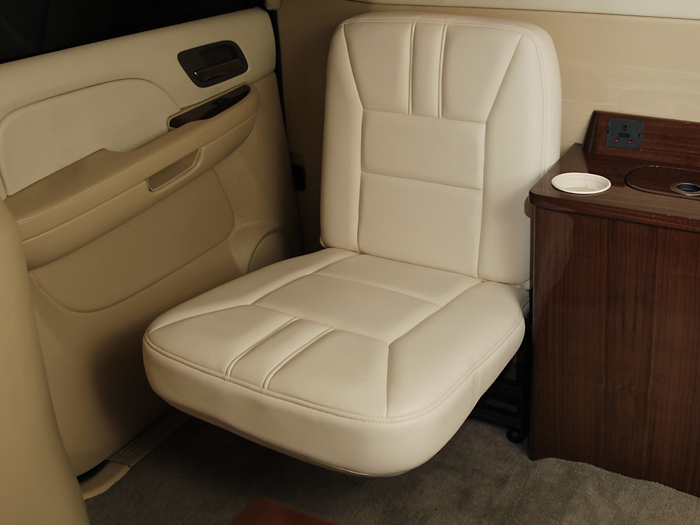 The mobile office interior can be outfitted with a 32" hide-away TV, mobile computer and communications system, mobile power generator, rear reclining captains seats with heat and massage, writing desks, refrigerator and much more. 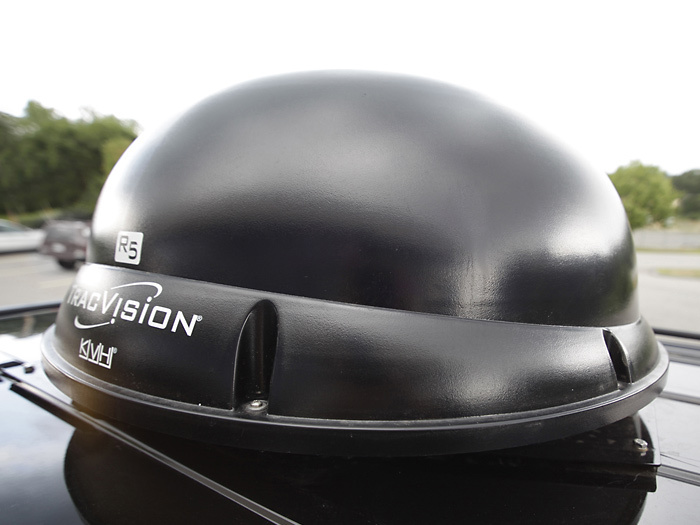 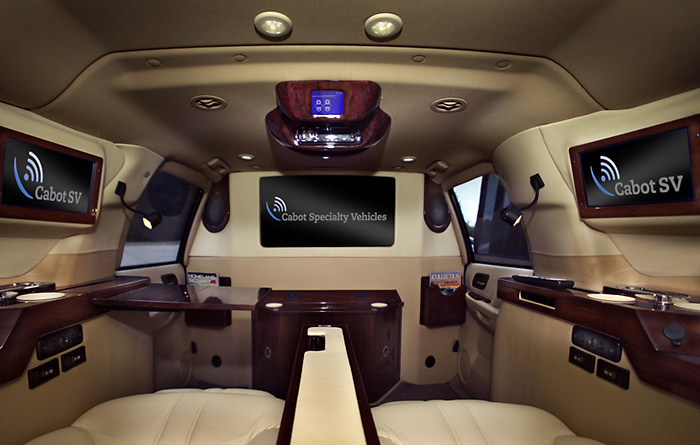 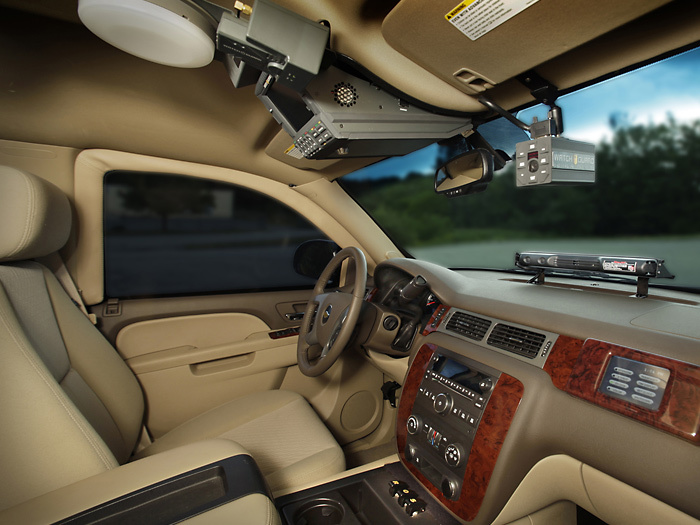 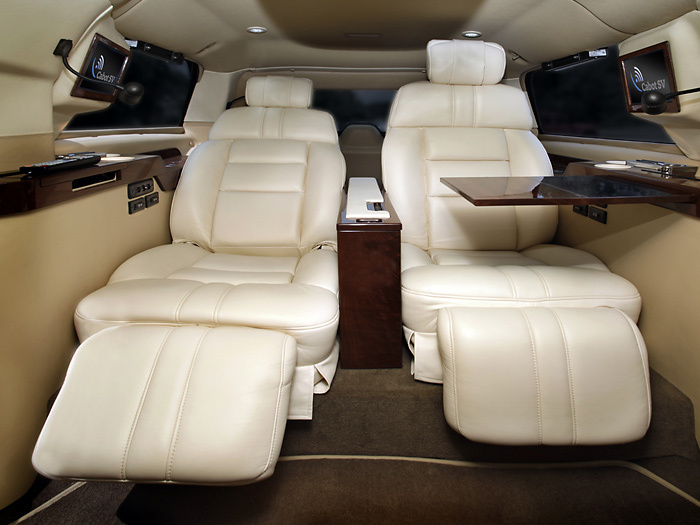 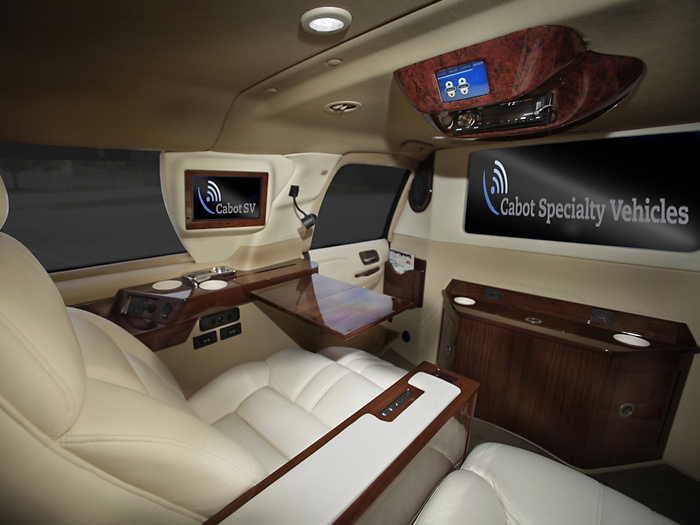 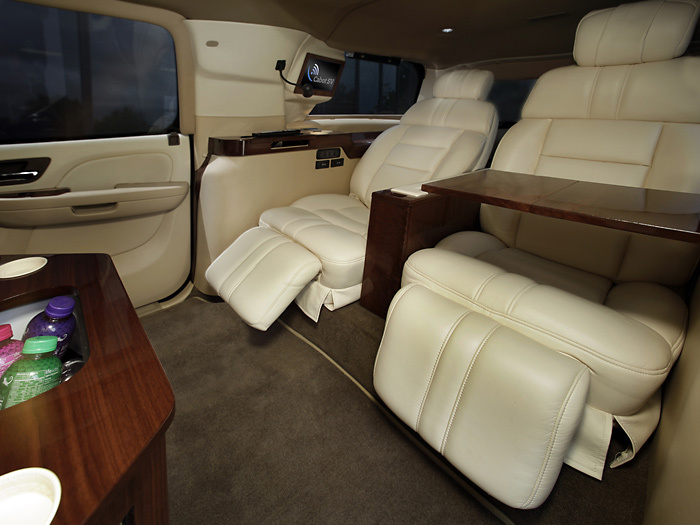 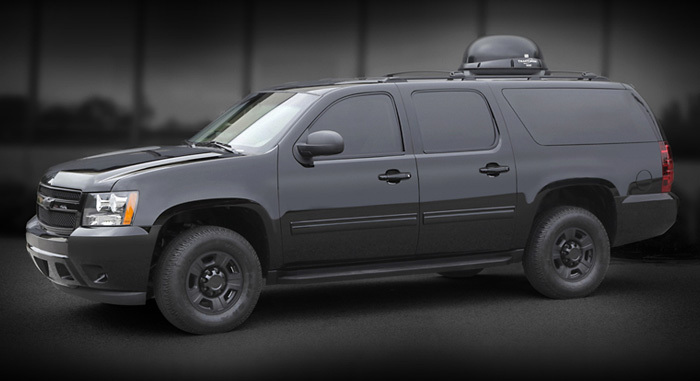 Efficiently conduct business in a fully functional mobile office wrapped in a fully armored discreet SUV.